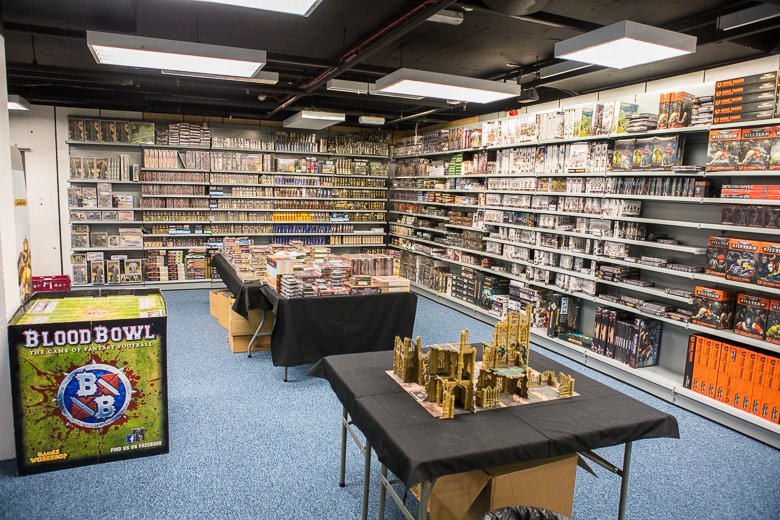 Calling Dark Sphere’s new Shepherd’s Bush megastore ‘big’ is a little bit like calling Star Wars ‘quite popular’. It’s vast. It lurks underneath the W12 Shopping Centre like a friendly, well-stocked labyrinth. When I popped down there to check it out, a few days after its official opening, I think I found a lost Amazonian tribe living under the card sleeves. There was already enough on show to keep even the most ardent collector going well into a second mortgage. And despite that, there’s also an incredible amount of space. You see, the new Dark Sphere isn’t your typical games shop. Yes, it’s friendly. And if you live in west London it’s reasonably local too. It’s just that most shops don’t have room to park a fleet of buses next to the till. Let me try put it in context. The first thing you see, as you descend majestically on an escalator from the main floor of the shopping centre, is a wall of board games. Anywhere else, this display would be enormous. It’s got games and expansions on it that I’m pretty sure are out of stock everywhere else in Europe. 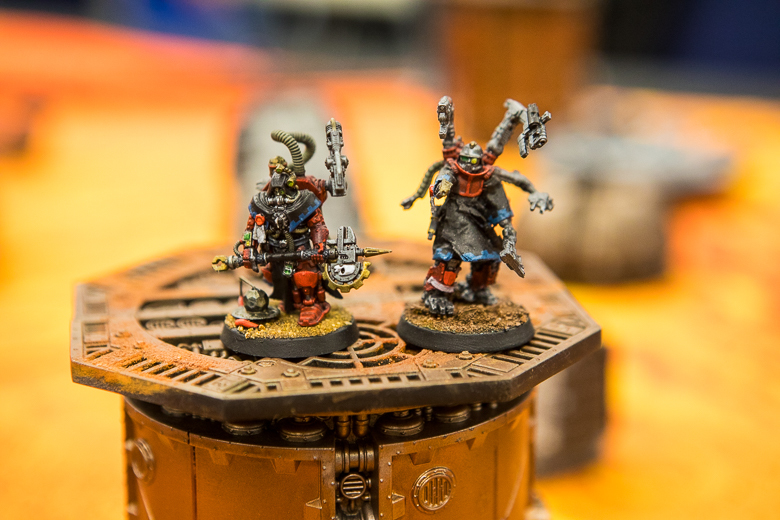 Turn to gaze into the store proper and you’ll find displays for practically every miniatures gaming system imaginable. Sure, the FFG and Games Workshop stands are to be expected. But there’s more – Malifaux, Infinity, Dropfleet Commander. There’s even a Walking Dead stand. The choice is staggering, and that’s before you start looking at the card games on show. Or the scenery, or the non-gaming merchandise, or the… I could go on. They ring a central space that I can really only call cavernous. The space is so big that it makes the displays feel almost small. Selling stuff is really only part of what Dark Sphere is about. It’s much more than a shop: it’s a meeting place, an events venue, a competitive arena. It’s a community hub, in other words. When I stop by, that hub – a wide, blue-carpeted plain in the heart of a west London shopping centre – is filled with row upon row of tables. This isn’t just somewhere to buy games. It’s a place to play them, and for the people who come together to do just that. Even as I look around, slack-jawed, several young women sit down nearby, breaking open a copy of Coup as they chat excitedly. A young mum with toddler in tow heads up to the desk to ask for recommendations. Several schoolkids bustle by, heading en masse to the Magic: The Gathering cards. If they used the day-glo skateboards they’re clutching (did anyone else know skateboards are still a thing?) they’d reach the display faster, to be honest. Speaking to the (frankly lovely) owners Alexi and Anita, I get the sense that Dark Sphere wants to be a more inclusive space for the gaming community. The new setting doesn’t just offer physical freedom but a safe haven for people to come and play games however they want, too. There’s huge joy in Anita’s voice as she regales me with the story of a Vanguard player who made the most of the space to celebrate in style, ‘zooming up and down the store doing victory laps in his wheelchair’. She points to the skateboard crew animatedly discussing the Magic cards on sale as a case in point. Dark Sphere: now more accessible! The location couldn’t really be better, primed as it is to catch people as they mosey around the busy shopping precinct that sits a stone’s throw from Shepherd’s Bush station. Alexi agrees that the new accessibility is a good thing. ‘Because we’re in a shopping centre, it’s somewhere that people can see as they’re passing and just pop in,’ he says. With the cinema sitting a floor or so above the store, it raises the possibility of gaming nights themed around big franchise releases, too. Whether your tastes run to Harry Potter, Star Wars or anything in between, there’s no shortage of excellent games set in these universes. Of course, plenty of these games are doing fine even without cinema goers. 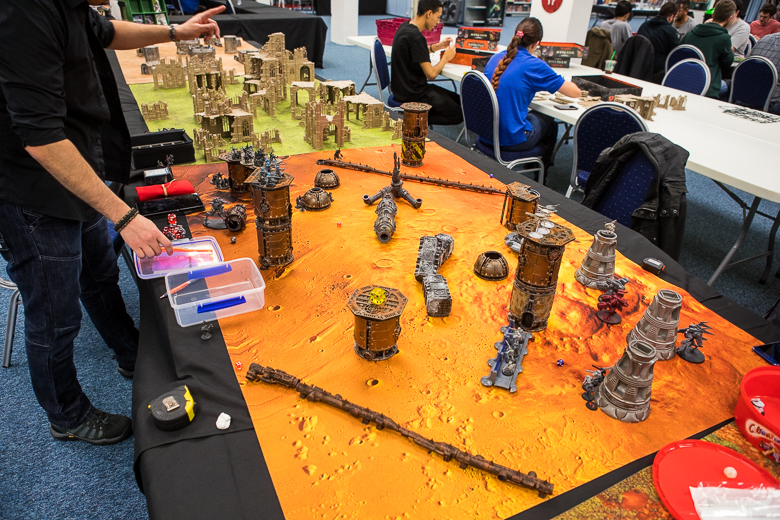 X-Wing is far from the only game played at Dark Sphere but it’s definitely one of the biggest, and already the tables are being eyed up for a number of big tournaments. 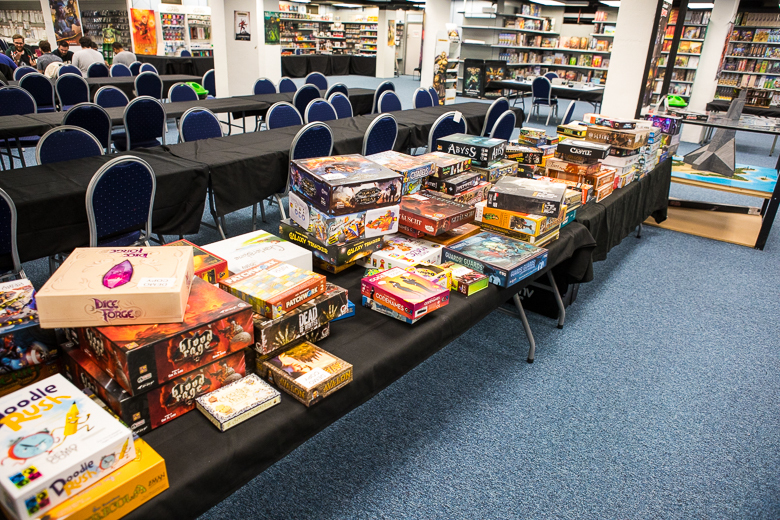 There’s a rough schedule already in place – X-Wing on a Tuesday, RPGs on a Wednesday for example. But there will always be room for drop-ins, Alexi quickly points out. Whereas table space at the original store gets booked out weeks in advance, here there’s room to be flexible. Let’s not forget that all these lovely things come at a price. Dark Sphere is still a shop, and it needs people to actually buy things too. This helps me feel better when I realise I’ve accidentally been clutching the Star Wars: Rebellion expansion to my chest for the past half hour. I still have to avert my eyes from the board game display as I leave, lest I look too closely and spend my bus fare home for the next twenty years. But I’ll be back – and what I’m really excited about is the prospect of returning when the space is filled with people enjoying themselves. Alexi agrees that the store takes on a different vibe on these days. Even a cursory glance at the upcoming events proves that that’s no idle boast. The number of games running throughout the next month alone means all that space won’t go unused for long. And that’s the whole point, explains Anita. ‘The dream is that when you come here at night, you will see probably every system being played at any and every level,’ she says. As dreams go, it sounds pretty good to me. 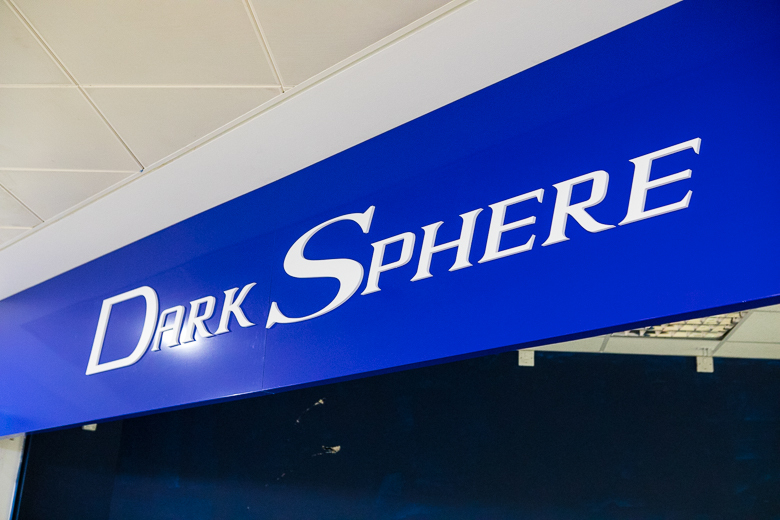 The Dark Sphere Shepherd’s Bush Megastore is now open for business. It’s open seven days a week for long, looong hours. In fact, it’s probably open right now but you might want to check the website or call them on 020 8749 2916 first, just to make sure.